Summer in the mountains means: flowing streams, freshly mown meadows (what a scent! ), Mountain tours with unique panoramas or the soothing mountain air and the fresh spring water. Whether adventure, action or rest and relaxation - the ideal altitude of 1,500 to 3,250 meters offers ideal conditions for sports and nature lovers! Not to mention - the low-pollen zone. In Hintertux, this problem does not exist because we are considered a low-pollen zone because of the altitude. 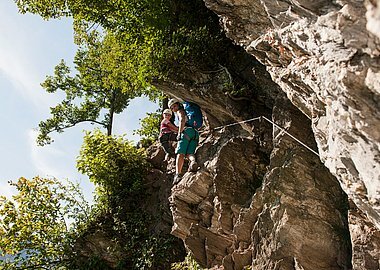 Wonderful hiking paths take you into an impressive natural scenery directly from our Badhotel. You have time. Take a breath. 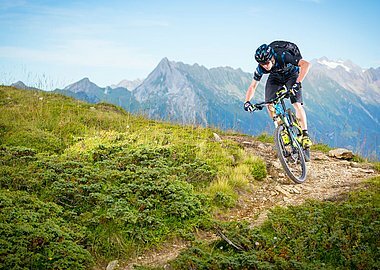 Zillertal offers a wide range of mountain bike trails at different levels of difficulty. 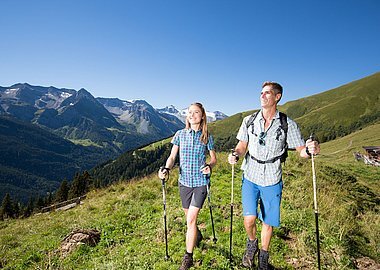 Zillertal is the most active valley in the Alps. With its thunderous waterfalls, rocky gorges and breathtaking high-altitude, it impresses climbers from all over the world.